We only use the freshest ingredients, whether you dine-in or order online. 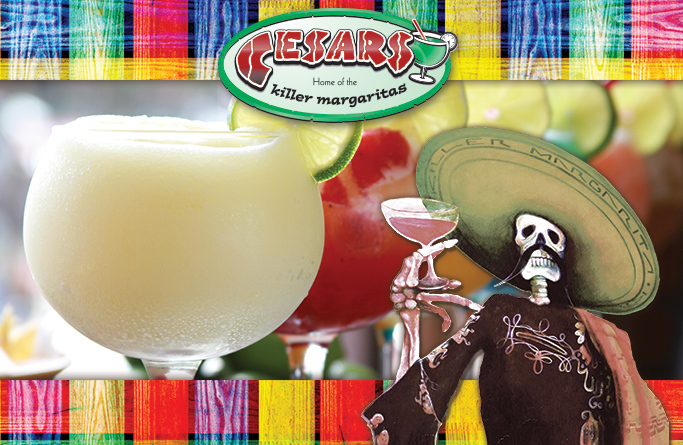 At Cesar's Killer Margaritas we pride ourselves in hand making every item on our menu. The same way that your Abuelita (Grandma) would, never store bought, frozen or pre-made. We make by hand over 50 items on our menu down to the simplest menu items. Even our chips and salsa are handmade! 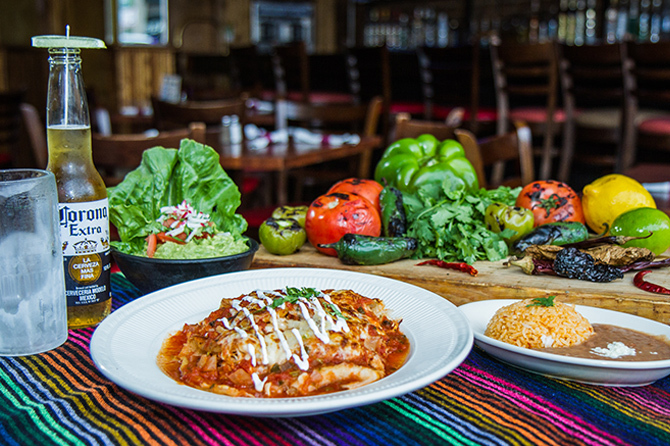 Cesar's has been serving up delicious, traditional Mexican food near you on the North side of Chicago for over 25 years, with time honored family recipes passed down throughout the generations. Don't take our word for it; browse through our delectable brunch, lunch, dinner, and dessert menus to see pictures of our fresh tasty Mexican food. Our pictures speak a thousand words, showcasing the high quality of our food we offer new you. Cesar's takes the freshest ingredients, prepare them according to our family recipes, and add a dash of inspiration to prepare a scrumptious dining experience with something for everyone. Ordering your favorite Mexican food online is easier than ever. If you are on the go and want to pick up something to take home, or you don't want to leave the comfort of your home, GrubHub is the perfect solution. Our full restaurant menu is available and you can even have Killer Margaritas delivered to your front door. With two locations and wide delivery area, you're never too far away! Serving frozen or pre-made food has never been our style. For over 20 years we have been serving authentic, handmade appetizers, entrees, Mexican favorites and desserts. From the chips and salsa, to the tortillas and sauces, we use family recipes that have been passed down through the generations. We invite you to experience the aromas, tastes, and atmosphere for yourself. We're convinced you'll come back time and time again. 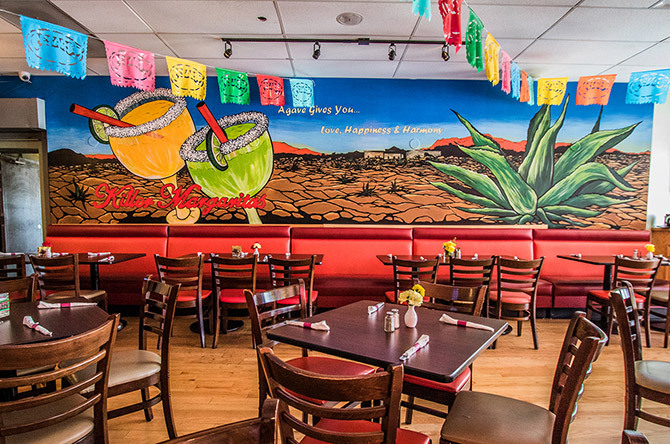 Our family owned Mexican Restaurants offer a fun and festive atmosphere for people to gather. Want to book a table for a friends' night out? Celebrating a special event with friends and family? Stopping by for dinner before a show or game? Both of our Chicago locations accept reservations ahead of time so you can plan your evening knowing you'll have a table reserved. Welcome to Cesar's Home of the Killer Margaritas, located in the heart of Chicago's Boys Town on the corner of Broadway and Oakdale. 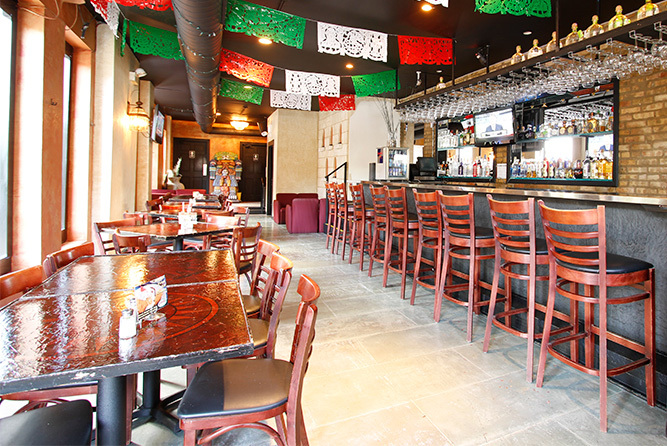 Our Mexican restaurant is equipped with 3 dining areas, a full bar, a cocktail lounge, and an outdoor patio. Just like the neighborhood, this location is lively and energetic. We have spacious rooms, comfortable seating for dining and lounging, fantastic music, and a killer staff. On those warm summer days and nights, we open our outdoor patio and rooftop deck so you can enjoy the weather as you enjoy our food and drinks. Cesar's Killer Margaritas on Clark is well known for its delicious food and awesome drinks. Just steps from the intersection of Clark and Belmont, we are right in the middle of all the action. Our one-of-a-kind dining experience includes a fantastic brunch menu, amazing appetizers, delicious entrees, and enticing desserts. We have a full bar that creates legendary margaritas, cocktails, and both import & domestic beers. Our lively staff serves incredibly flavored food and our atmosphere is great for small gatherings or large parties.